Gamestop CEO Dan DeMatteo doesn't think EA's "Project Ten Dollar" policy of giving free DLC to buyers of new games will matter much to the people who prefer to buy pre-owned copies. In recent months, EA has made much ado about its new Project Five Dollar Footlong - er, sorry, that's "Project Ten Dollar," a policy that includes roughly $10 worth of DLC content free with new copies of the game. This content must be purchased separately for everyone else, as an incentive for consumers to buy games new and not used - a practice which only results in revenue for the retailer, and not the game's publisher. 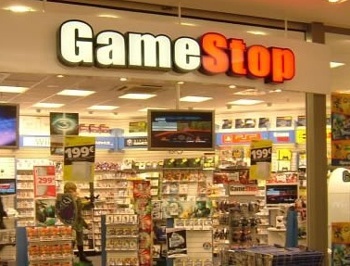 However, while some retailers have warned that the Project Ten Dollar approach might hurt consumers, GameStop CEO Dan DeMatteo doesn't think that it will matter much to the people who buy used games - and in fact sees DLC as a way that publishers and used-games retailers can work together to benefit all parties involved. "Through our years in the used business, we have learned that the second-hand user is a value-oriented consumer ... we don't believe that a $10 add-on piece of DLC is compelling to a used game buyer," DeMatteo told analysts in a conference call as reported by GamaSutra. I'm not sure exactly what he's trying to say, though. His point seems to be that people who buy games second-hand are looking to get more bang for their buck - which makes perfect sense - but then goes on to say that the same people wouldn't want to get $10 worth of content for free. I may be misreading it, but that just comes off as confusing to me. DeMatteo's other point, though, seems a lot more coherent at first: Publishers shouldn't be afraid of the used-game industry, because they can still cash in and profit off of pre-owned sales thanks to DLC, which can be promoted in the physical retail stores that sell the used games in the first place. "We can market and execute DLC sales right in-store," explained DeMatteo. "There's a tremendous opportunity for us to encourage software developers and publishers to create DLC because we'll be able to market it. It's very difficult to discover, find... add-on content with the tools available [currently]." So, he's saying that publishers can profit off of used game sales thanks to DLC. Which... is exactly what Project Ten Dollar is, minus the whole "bundling it free with the new copy of the game." I'm really not seeing the difference here. Maybe I'm just missing something?